I recently received some news that grabbed my attention—and my heart. A friend who still lived in my hometown told me that one of our former high school teachers, Bob Ferris, had died. I wasn’t surprised to hear of the death of a man who was at least twenty years older than I am as I’m certainly no spring chicken myself, but Bob Ferris? The handsome teacher with the Boston accent who reminded us of the Kennedys and made us silly high school girls swoon? Of course, his popularity ran a lot deeper than his good looks. Bob Ferris taught honors English, but he also taught creative writing, and I was a student in both. But I believe the basis of his popularity was that he challenged us to dig deeper, to think harder, to work more diligently—and to pursue our God-given dreams. Those words rang in my ears long after I’d received my high school diploma, and they encouraged me to keep going and not give up when I decided to pursue a career in writing and promptly began to receive countless rejections. But it wasn’t until after I became a Christian at the age of 26 that I discovered Bob Ferris was also a believer. Though he didn’t have an opportunity to preach or witness to me when I was in his class, he certainly used his faith and platform to speak into my life, and I will always be grateful for that. He was willing to go the extra mile, to take a bit more time, and to offer a ray of hope. He taught me that “paying it forward” is a wonderful way to leave a lasting legacy behind. His is an example I try to emulate every chance I get. Jolissa Montoya believes God is calling her to work with the disadvantaged children in her inner-city neighborhood. There’s only one problem: The children wouldn’t be able to understand her. Jolissa suffers from a speech impediment and has a thick accent because Spanish is her first language. Ridiculed through much of her youth, she is quite shy and reticent to speak. She is convinced that what God has spoken to her heart is impossible. Impossible, that is, until one day when her confidante shows her a quilt—a quilt that depicts the life of a courageous woman. 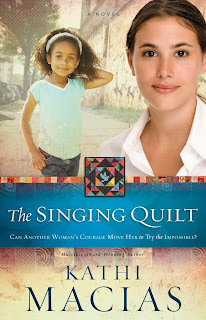 Can another woman’s courage move her to try the impossible and step out and follow God wherever He leads her? Kathi Macias is a multi-award winning writer who has authored more than 40 books and ghostwritten several others. A former newspaper columnist and string reporter, Kathi has taught creative and business writing in various venues and has been a guest on many radio and television programs. 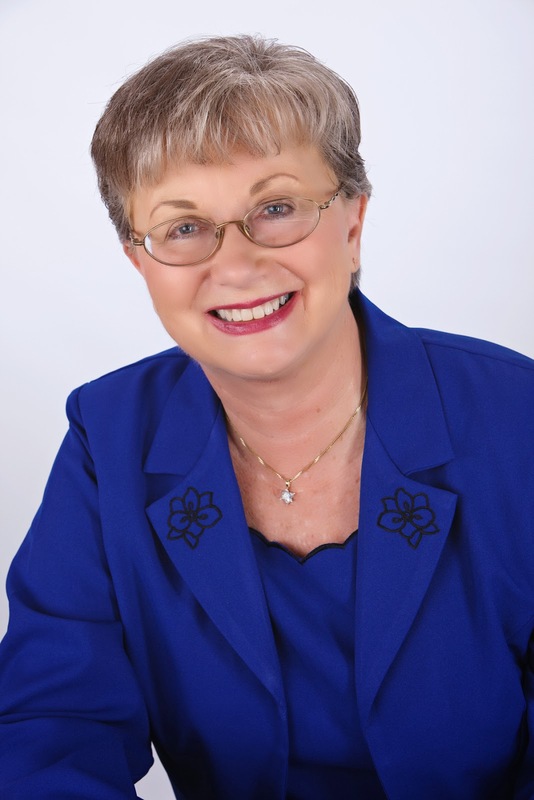 Kathi is a popular speaker at churches, women’s clubs and retreats, and writers’ conferences. She won the 2008 Member of the Year award from AWSA (Advanced Writers and Speakers Association) and was the 2011 Author of the Year from BooksandAuthors.net. Her novel set in China, Red Ink, was named Golden Scrolls 2011 Novel of the Year and was also a Carol Award Finalist; her October 2012 release, Unexpected Christmas Hero, was named 2012 Book of the Year by BookandAuthors.net. She has recently taken the position of Senior Vice President of Acquisitions for Elk Lake Publishing. Kathi “Easy Writer” Macias lives in Homeland, CA, with her husband.